Brazil was on top for much of the game and created the better chances, but without Neymar it lacked a leader in attack and failed to beat a Panama side that have lost to the likes of Ecuador and Honduras since exiting the 2018 FIFA World Cup pointless. Wearing Brazil's number 10 jersey — usually reserved for the injured Neymar — for the first time, Paqueta opened his international account just past the half-hour mark, although Panama equalised in contentious fashion through captain Adolfo Machado, who appeared to be offside. An entertaining second half saw both sides hit the crossbar, with Brazil doing so twice, but neither side found a winner as the team ranked No.76 in the world held on for a memorable result in Porto. Unsurprisingly, Brazil, which by contrast sits third in the FIFA rankings, took control early on and crafted a good number of chances, first going close in the 18th minute when Roberto Firmino headed Alex Telles's cross just wide. 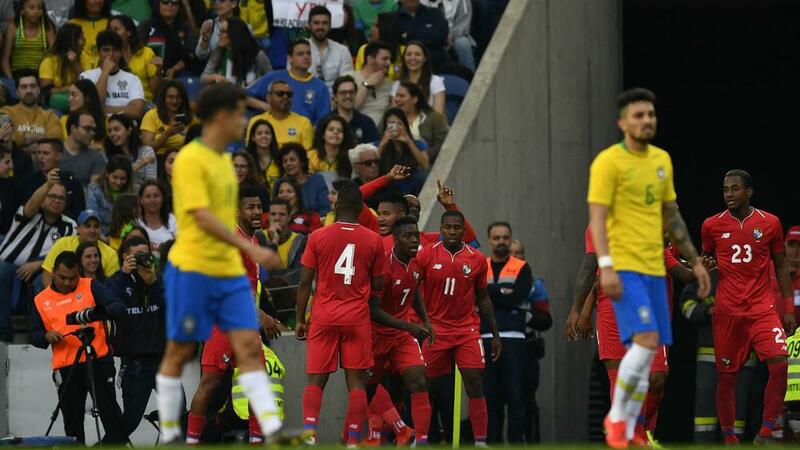 But Panama hit back, Machado, who was slightly offside, controversially heading Eric Davis's free-kick delivery beyond the stranded Ederson.